Image: BeYOUtiful Foundation, Ralph Lauren, The Better Skin Co., TDE, KL Nail Polish. Design: Ashley Britton/SheKnows. 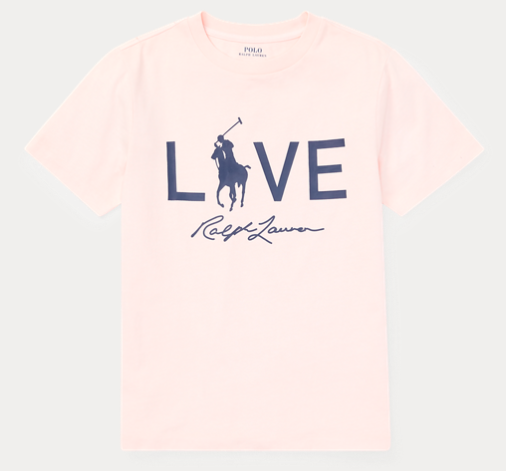 The Ralph Lauren "Live/Love" graphic tee isn't just cute, it is a real statement piece — as 100 percent of the proceeds from the purchase of this product will be donated to the Pink Pony Fund of The Polo Ralph Lauren Foundation and to an international network of cancer charities. Pretty in pink, the Beyoutiful pullover hoodie won't just keep you comfy and cozy, it will really help others — as 100 percent of the proceeds from the sale of this product will go to the BeYOUtiful Foundation. While women with breast cancer often have a wide variety of bra needs, if you are in the market for a sports bra, the Aerie limited-edition bright-pink sports bra may be the perfect purchase. One-hundred percent of U.S. sales will benefit Bright Pink, a nonprofit dedicated to the prevention and early detection of breast and ovarian cancers in young women, and 100 percent of Canadian sales will benefit Rethink Breast Cancer, a charity that supports young women affected by breast cancer. 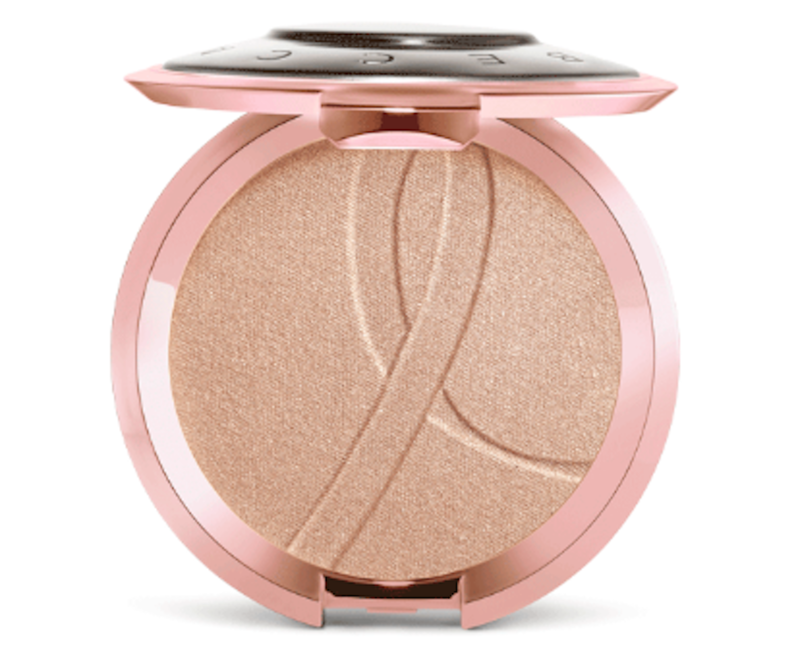 Last month, Becca debuted a limited-edition Shimmering Skin Perfector pressed highlighter in their most beloved shade, opal, to "shine… light and support [on] breast cancer research and awareness." For each compact purchased between Sept. 7 and Nov. 30, Becca will donate $8 to the Breast Cancer Research Foundation. 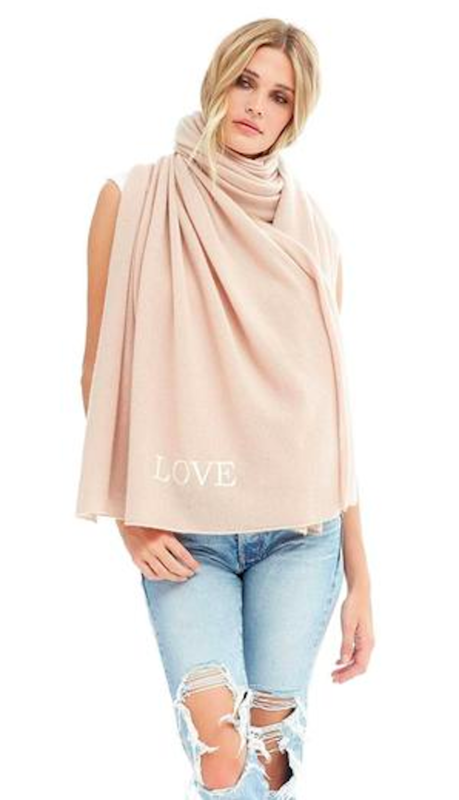 Nakedcashmere is supporting Breast Cancer Awareness Month with their new (and exclusive) "Love" scarf, a beautiful cashmere scarf that comes in three colors. And for each scarf sold, Nakedcashmere will donate $50 to the Breast Cancer Research Foundation. 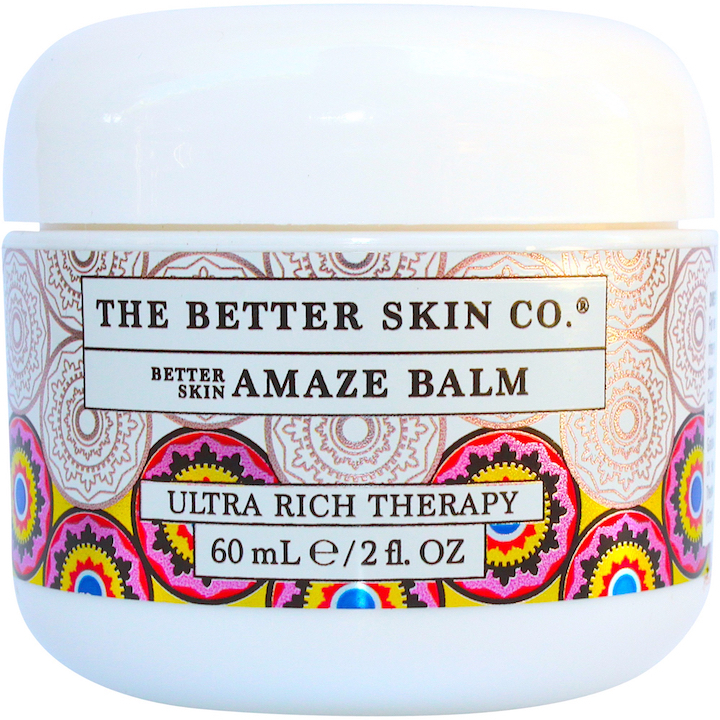 Image: The Better Skin Co.
Amaze Balm really is an amazing product. Made from coconut oil, avocado oil, sunflower oil, evening primrose, sea buckthorn, shea butter, lanolin and beeswax, this ultra-rich and creamy moisturizer is a must-have for the fall. 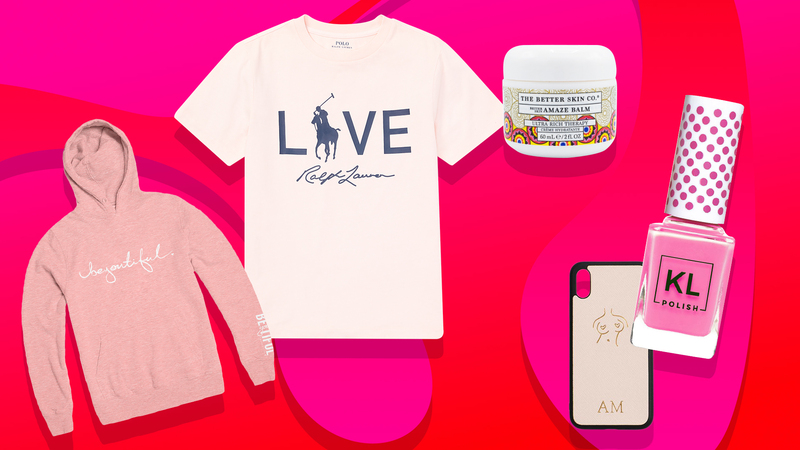 And like many of the products on this list, 100 percent of the proceeds from the sale of their limited-edition pink gold Amaze Balm will be donated to the Young Survival Coalition. 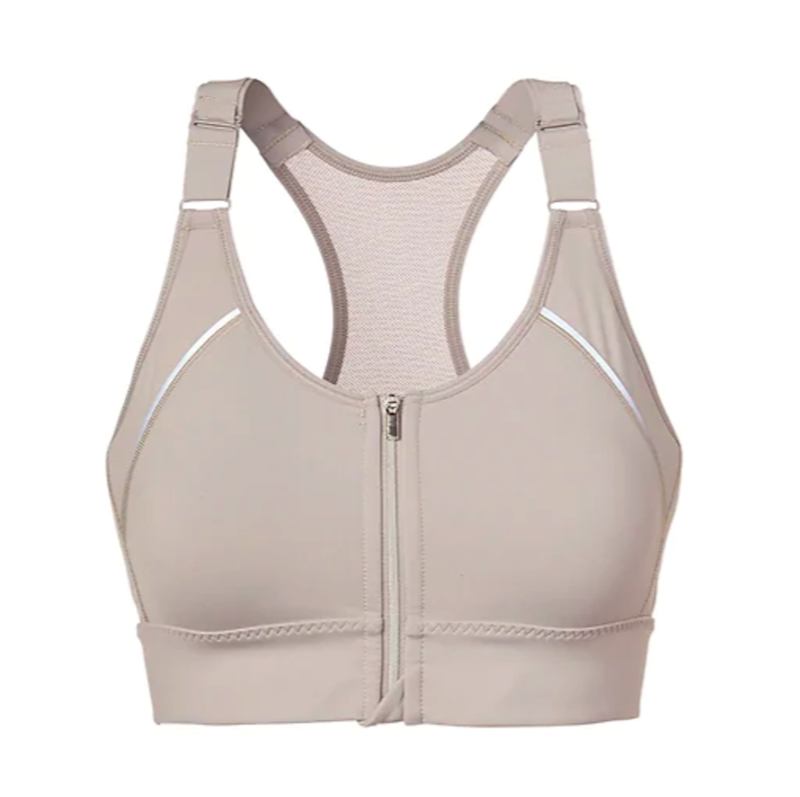 Amaze Balm, $36 at The Better Skin Co.
Athleta has developed a very special type of bra: their Empower line is designed specifically for post-mastectomy women. (The company also offers Empower pads, which are a light-weight alternative to current prosthetics — an alternative which slides easily into the Empower bra.) And while the bra in and of itself is awesome, the company is also making a pledge to donate one bra for every bra sold to the UCSF’s Helen Diller Family Comprehensive Cancer Center. But be sure to act fast: The donation window ends on Oct. 15. 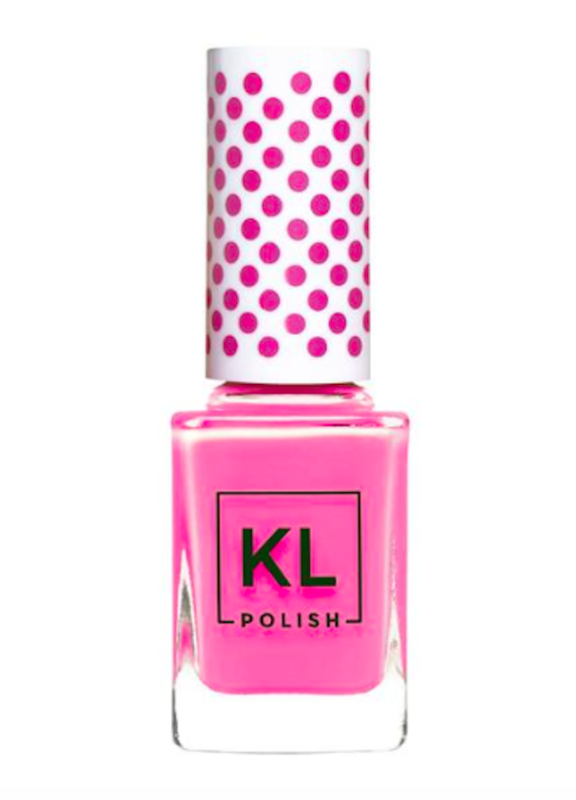 Mami Martha is a bright and beautiful bubblegum pink polish that, according to KL Polish, "represents strong women and hope." And bonus: 100 percent of all profits will be donated to the Breast Cancer Research Foundation. 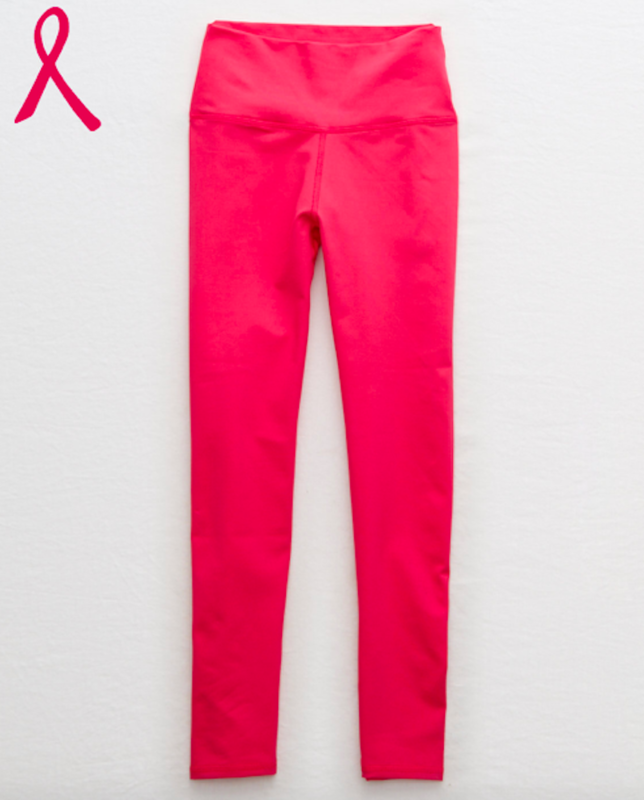 Much like the Aerie limited-edition sports bra, these hot-pink leggings support a great cause. In fact, 100 percent of U.S. sales will benefit Bright Pink and 100 percent of Canadian sales will benefit Rethink Breast Cancer, a charity that supports young women affected by breast cancer. For each phone case sold, TDE will donate $20 to the National Breast Cancer Association. 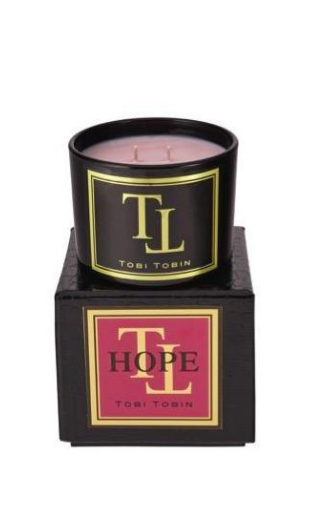 This candle from luxury brand Tobi Tobin features the scents of French cassis, rose petals, osmanthus blossom, water lily, jasmine, a tiger baby melon, grapevine, Mediterranean lavender, vanilla and musk. At $78, it's definitely a luxury item, but the good news is that 100 percent of the net profits will go to the Susan G. Komen Foundation.